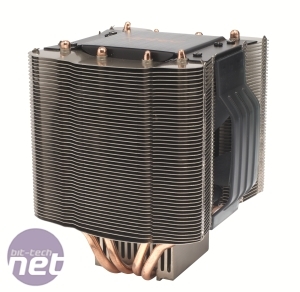 The apt-sounding Kuhler Box isn't Antec's first go at a CPU cooler, but it is one in a new line of tower coolers from the company that has made some of our favourite cases and PSUs. 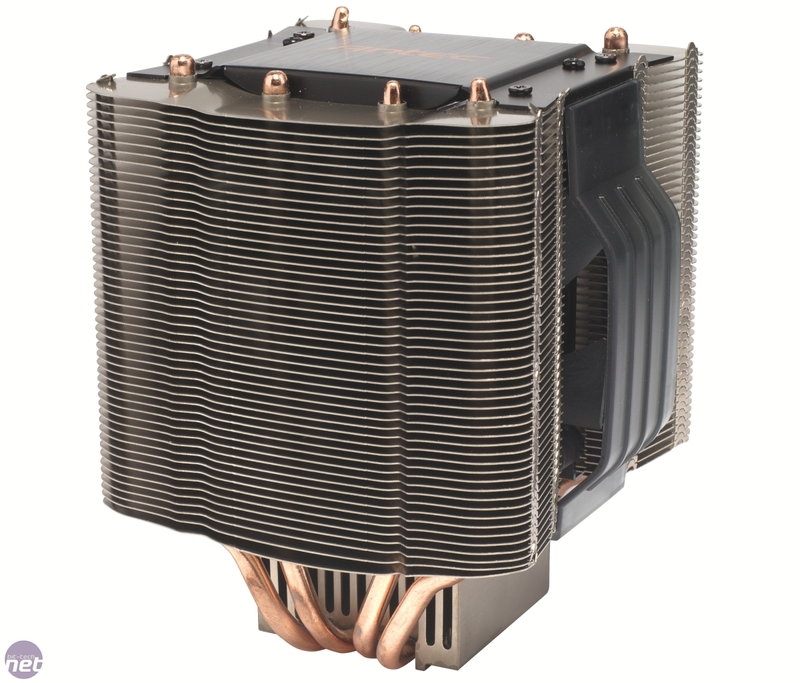 As its name suggests, the Kuhler Box is box-shaped, with a single PWM-controlled 120mm fan sandwiched between two banks of aluminium heatsinks. 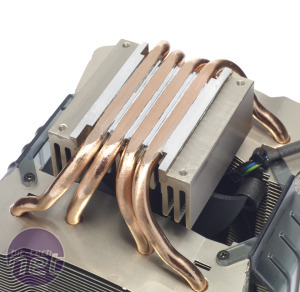 It has four 6mm heatpipes, all of which have been sanded down flush with the contact plate and are in direct contact with the CPU heatspreader. 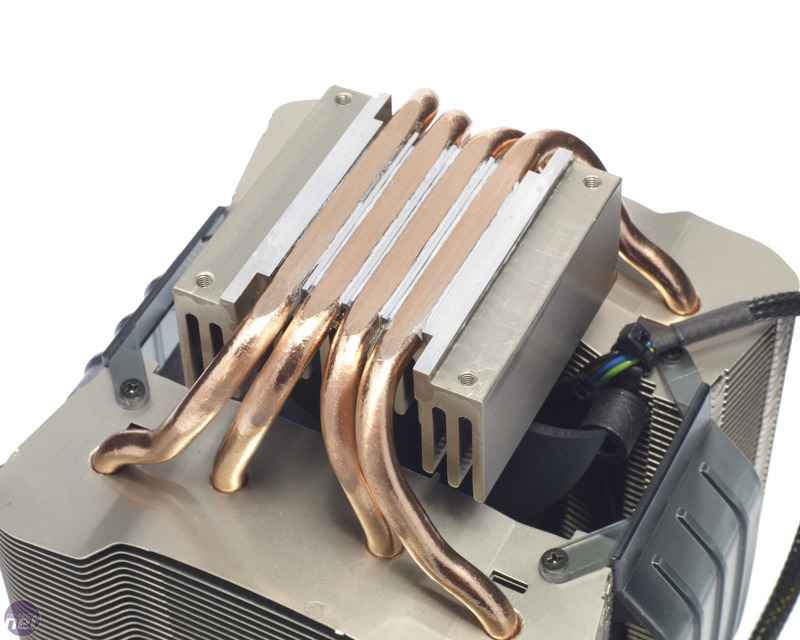 Unfortunately, though, while the heatpipes are flush, the Kuhler Box has some significant gaps between the heatpipes and its contact plate, which are likely to trap air and affect cooling performance. These can be filled with thermal paste (unfortunately, there's barely enough included for one installation because of this issue), but it would be preferable if the heatpipes and contact plate made firm contact with the plate to start with. Thankfully, unlike the Zalman CNPS9900-MAX Blue, the Kuhler Box includes a fan shroud to protect fingers and cables from being minced by the fan - just as well as it can reach 2,000rpm. 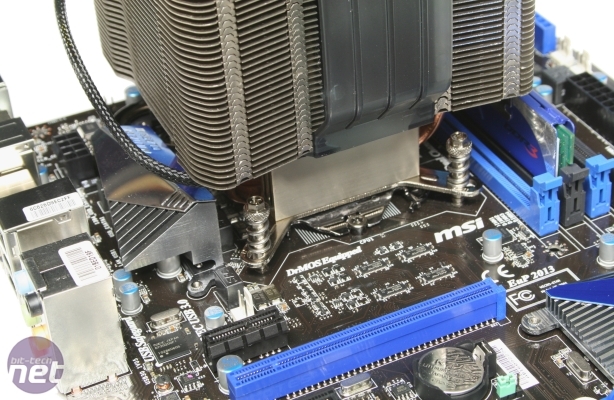 Antec has also had the foresight to orientate the mounting mechanism on Socket AM3 motherboards so that the fan blows air towards the rear of the case; its far more likely you'll have a rear exhaust fan than one located in the roof. 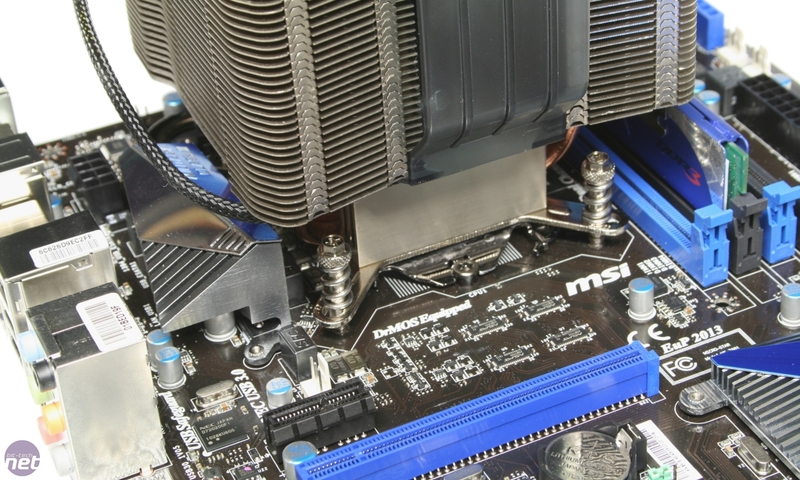 The Kuhler Box has effective mounting mechanisms for both AMD and Intel CPU sockets, using a combination of sprung screws that attach to a backplate on the underside of the motherboard. The screws are easy to turn by hand, but the box also includes a mini wrench for the weak-fingered. As the Kuhler Box is relatively compact, and not as weighty as the likes of the Thermaltake Frio, it should be possible to install it without removing your motherboard, assuming you have a CPU-area cut-out on your case's motherboard tray. We were a bit concerned when we installed the Kuhler Box in our AM3 system, though, as the springs didn't appear to put much pressure on the hold-down plates.